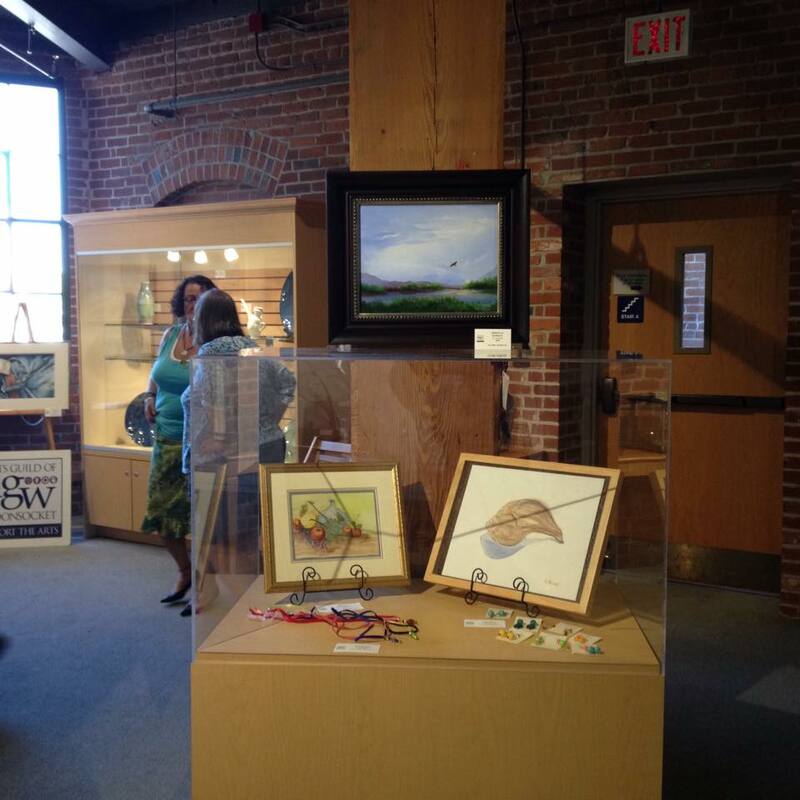 What a wonderful Labor Day weekend it was celebrating the opening of the Arts Guild of Woonsocket's exhibit at the Museum of Work and Culture. I have three pieces in this show. In the above photo, you can see my "Old Blue Barn" abstract painting and my "New England Seaside" mixed media painting hanging among other member's beautiful paintings. 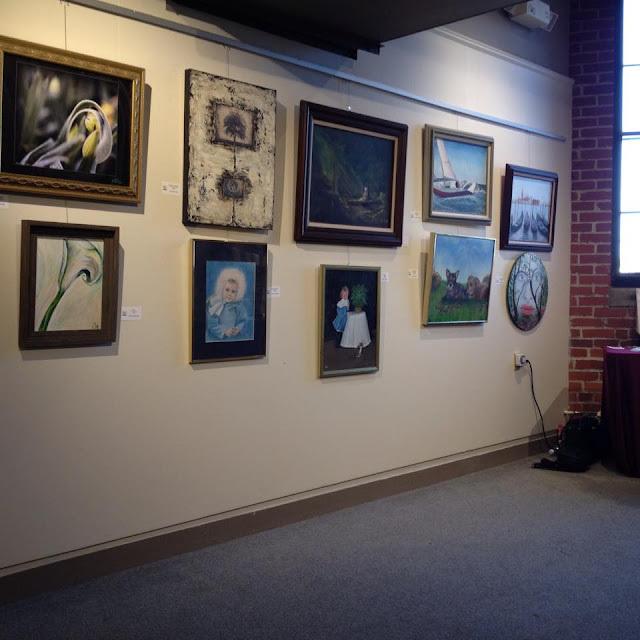 My "Roots & Wings" Mixed Media piece hangs here among other fine art pieces in various mediums done by fellow Arts Guild of Woonsocket artists. 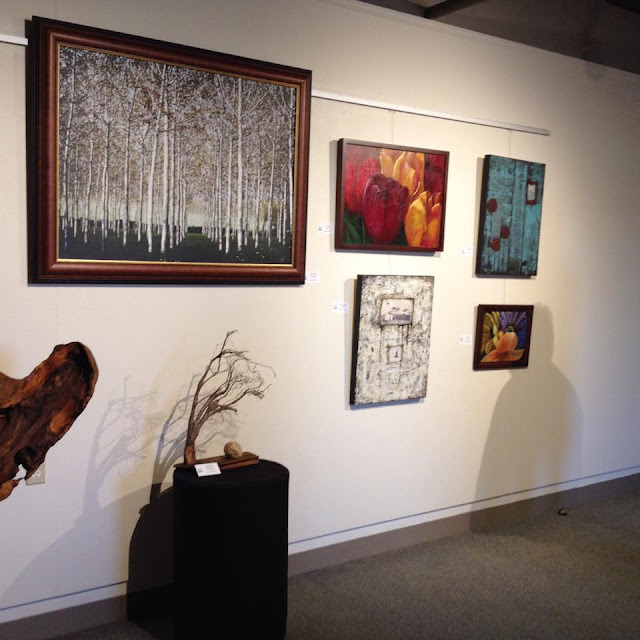 Another fun weekend of art appreciation and fellowship. Thank you to everyone who worked so hard to put this exhibit together.